We as humans have evolved from being wild cavemen to the well-sophisticated populace, which is large because of our curiosity and our eagerness to learn. Therefore, through the ages, the education system has constantly been evolving to accord us with knowledge essential to not only remain as the dominant species but also make the world a better place. Therefore, to keep up with new modes of information and new channels of education we need to evolve our education system by automating the traditional ways and bringing more structure to the curriculum. 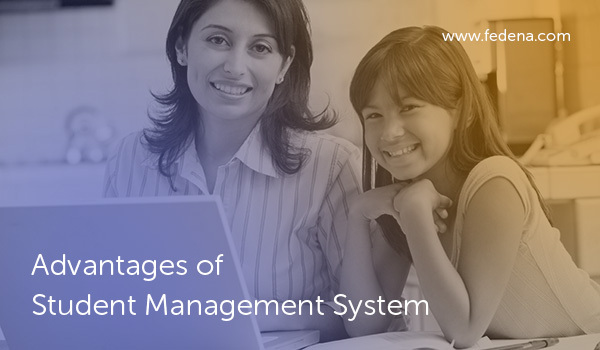 Managing an educational system requires careful planning and time management on everybody’s part, and therefore the automated management system has become not only a norm but a necessity in today’s world. These smart technologies improve the efficiency of teachers to educate their pupils in the most unique ways of bringing out the true creativity in them. With an enormous amount of information available on various channels and such little time to grasp it, time management becomes much more crucial. The same goes for an educational organization trying to manage a crowd of students, with efficiency and effectiveness only a system can provide. With such requirements, it comes important to include a managing tool to save everybody’s precious time. A student management system brings in various features like admission, attendance, fee collection library, examination, timetable, transport tracking, student performance report etc. All these are low complexity tasks which require high accountability and accuracy, therefore these tasks can easily be delegated to our lesser counterparts; the machines (or software’s). Student management system has become an essential part of school management, offering efficacy where it matters. These systems provide a 360-degree view over the students, to manage their various needs and tracking their educational performance. A single platform can offer an access to all these elements and aid in tracking the data on the fly. Fedena with such extensive features is a web-based software which can be accessed from anywhere and at any time. Students fees, examination, transports, library facility can be accessed directly using a unique identification number per student. This can be used by a student or the management for tracking their schedules/dues. Every child can now focus on their education, rather than running over to the management/administration to access their records. This gives them ample time to work on their weaker areas, achieving more than ever before. The dashboard helps in reminding which activities an individual needs to perform and which of them are already done. It gives a unified view collecting all the useful data on a single screen, making sure everything important is highlighted. This results in a better productivity and growth with minimum effort. Not every student is as open in the classroom as some of their classmates, this could be either because of limited time or because of their hesitation while asking a query. With a discussion panel built into the software, they can ask away all the queries their heart desires. Having an alumni tab, let the students stay connected to their seniors who have already gone past the educational heights, and can further be useful while seeking assistance when they are out in the open world. It is not only available for students, but also for teachers, parents, and other institution employees. Where teachers can manage their classes, students attendance, assignments, and other tasks, while the parents can keep a hawk-eyed view over their young ones by using a single unified platform. This gives them better control to not only keep their tasks organised, but also reminds them who needs more attention.